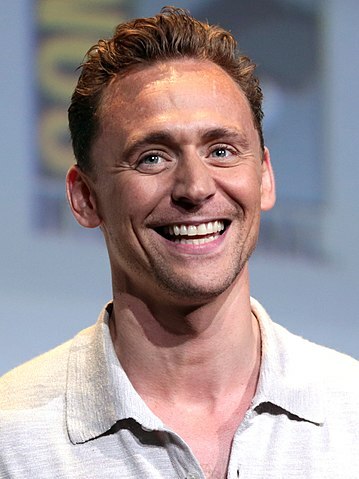 Tom Hiddleston was born in Westminster, United Kingdom, on February 9, 1981, is an English actor. Young Tom Hiddleston began his acting career on the stage in a play A Streetcar Named Desire and on television in Stephen Whittaker's adaptation of Nicholas Nickleby (2001). He made his big screen debut in British drama movie Unrelated (2007) in role as Oakley. Tom's breakthrough performance came as Loki in superhero film Thor (2011) opposite Chris Hemsworth. He won an Golden Globe Award for Best Actor for his performance as Jonathan Pine in television series The Night Manager (2016). He won the Laurence Olivier Award for Best Newcomer in a Play for his role as Posthumus Leonatus & Cloten in a play Cymbeline (2007). He won the MTV Movie Award for Best Fight and Best Villain in 2013 for his role as Loki in The Avengers. He won the Evening Standard Theatre Award for Best Actor for his role as Caius Martius Coriolanus in a play Coriolanus (2014). He was nominated for the Laurence Olivier Award for Best Newcomer in a Play for his performance as Cassio in a play Othello. Good friends with actor Chris Hemsworth. He dated Susannah Fielding (2009-2011) and American singer Taylor Swift (2016). He voiced Lord Nooth in film Early Man (2018). Lives in Belsize Park, London, England. If you risk failure, then you also risk success. I'd love to see T'he Avengers' with Robert Downey, Jr. playing Loki and Clark Gregg playing 'Thor' and I play Captain America. We are all responsible for the state of our world. The world—and the system by which we trade, share, cooperate and conflict—is clearly not working. We are only as strong as our weakest members. Loki in 'Thor' is the most incredible springboard into a sort of excavation of the darker aspects of human nature. So that was thrilling, coming back knowing that I'd built the boat and now I could set sail into choppier waters.